Their son, Demian, who was instrumental in the building of Zikomo Safari, passed away in March 2018. Victory and David Wallace both grew up in the Midwest and the Southwest of the USA. They met on the Aranui, a working freighter with a route of Tahiti to the Marquises Islands and back. During their three week romantic journey as passengers on this ship, they fell in love. David had studied geology, but he became a pharmacist. Victory worked in resorts for a decade before going back to earn a Registered Nurse degree. They both love the outdoors, nature, animals, birds, and travel. They are passionate about saving wildlife. 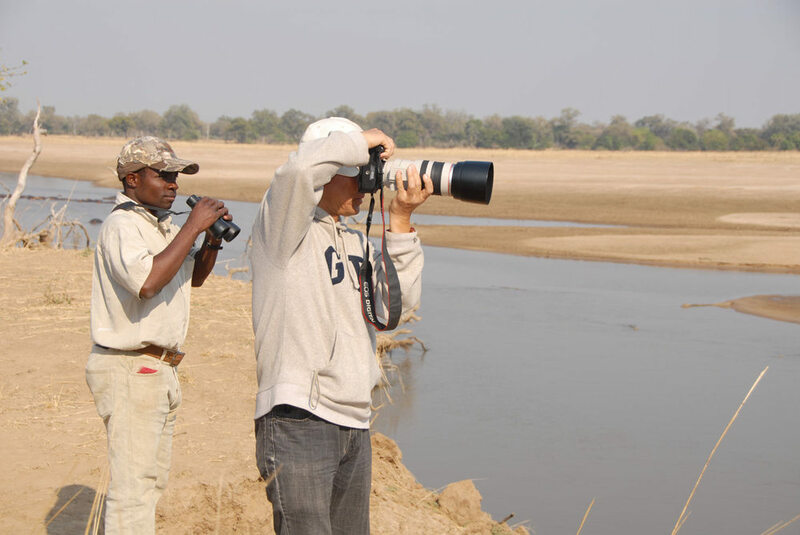 Following a trip to the South Luangwa Valley, their concern for the wildlife in this special place drove them to create Zikomo Safari..
Tony has had a lifetime interest in the outdoors and wildlife, flora and fauna. Living in Hawaii since 1975, he has been active in sports, hiking, gardening and community service throughout his time in the islands. He works as a counselor, helping people with disabilities. Because of a long-standing friendship with Victoria and her son Demian, Tony learned of the development of Zikomo Safari. He joined with the Wallaces to help bring this ambitious project to reality. Through time spent in the Nsefu sector and in support of the Zikomo Safari, Tony has become active in advocating against wildlife trafficking and in preserving endangered species. Max Demian Wallace passed away in March 2018. We will always be grateful to Demian for the work he did to help make his mother’s dream, Zikomo Safari - Zambia and Nsefu Wildlife come true. He will be missed, but his legacy lives on. Peace. Demian played a vital role in the creation and development of, first, Zikomo Safari - Zambia, then, Nsefu Wildlife. He won a wrestling match with Chief Nsefu in order to get the Chief’s approval to lease the land to Zikomo Safari - Zambia. He remained a friend with the Chief and often negotiated with the Chief when circumstances demanded it. Demian set up camp on the Zikomo Safari - Zambia. When hunters opposed to Zikomo Safairi’s lease sent pickup trucks full of men wielding AK-47s to tell Demian to leave, he stood up to them. He stayed on the property living in a tent, eating canned tuna fish and raimen, and drinking from a muddy spring. After a prolonged legal battle, Zikomo Safari - Zambia, Demian, Victoria and David Wallace, obtained a lease to the property authorized by the Zambian parliament. Then, Demian supervised construction. He led a crew of unskilled, uneducated local villagers to clear land, make roads, build a lodge, chalets, a swimming pool and out buildings. He built and maintained vehicles, the solar electrical system and the bore hole water system for Zikomo Safari - Zambia. Max Demian Wallace gained the respect of the local people who came to see him as a kind of local “rock star.” Children would call out to him as he passed by in his car. Demian out ran lions on his motorcycle and forded rivers full of crocs and hippos. Through his life, he built a legend. Although he passed, his legend lives on. Our Team is Ready. Let us help you enjoy your visit.